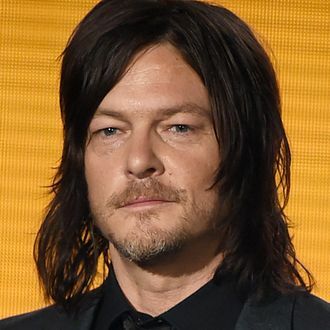 Another Walking Dead fan has done another peculiar thing to Norman Reedus: Over the weekend, according to reports, a woman-turned-walker expressed her love for the actor by chomping into his chest. The bite heard round the tristate area occurred at New Jersey’s Walker Stalker Con during a photo op. TMZ reports Reedus (Daryl Dixon on the show) was not harmed and will not press charges; he was able to finish his time at the con as planned. 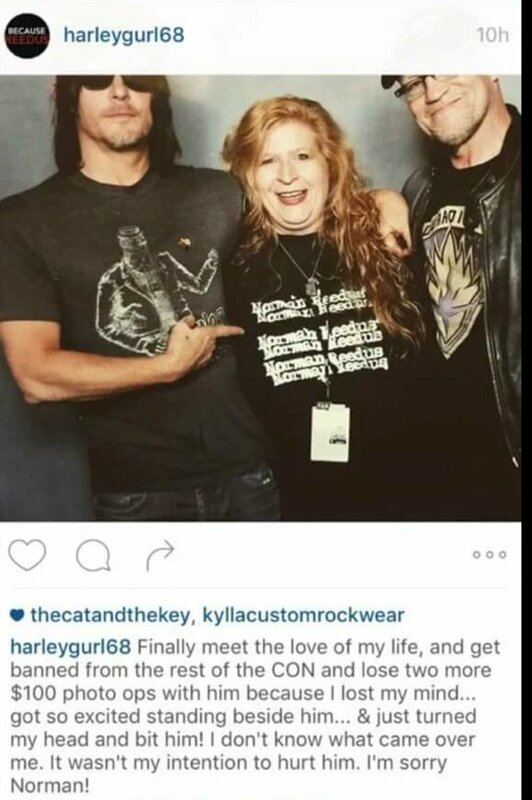 The fan, however, was promptly tossed out of WSC and banned from future events, according to an Instagram (now private) post that fan site Undead Walking has attributed to the woman responsible.